Our last paddle of the Yukon summer was today. It’s actually fall here now so it should be no surprise that it was cool (11c) and rainy… We pushed through and were rewarded with a break in the clouds by late afternoon and a fun day. 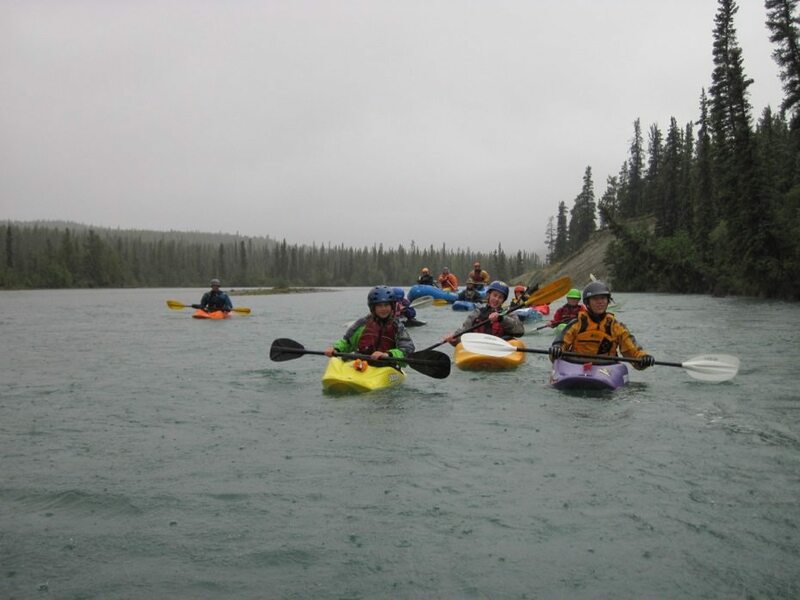 A group of 6 youth paddlers (ages 10-13) from the Yukon Canoe and Kayak Club Youth program headed out to finish off their paddling season by running the Takhini River. It is a class 2 river that has 1 class 3 feature depending on the water levels. This late in the season, it was mostly class 1 and 2 which made for a fun and easy day. There were 5 adults in kayaks and another 3 in the raft so the kids were well supported. Not a single swimmer all day which was great. The major feature on this section of the river is referred to as the “Jaws of Death” which makes a much bigger deal out of it than is necessary. Others have referred to it as “the gums of worry” which seems somewhat more appropriate. Today, for the kids sake we decided it should be renamed the fluffy bunny or something equally benign as it definitely gets them more anxious than is required. It is basically a bend in the river with a series of haystacks and wave trains. From the perspective of a youth boat and paddler, the waves are definitely something to be considered. At the same time, there are sneaks on river right and all those that needed to do the sneak were successful and happily finished the day proud of their paddle. 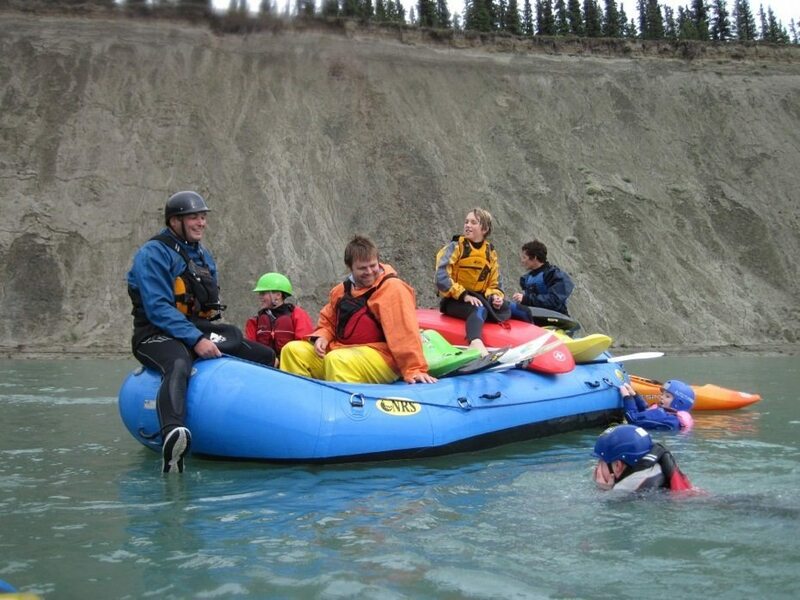 Yukon kids are quite hearty and somehow we managed to take 2 hours to paddle the last section of the river (average is 45 minutes) to take-out as they opted to jump in and out of the raft, climb on each others boats in the water, swim and generally have a great time. At one point I think they had 5 kayaks in the raft and another one being pulled behind! Thanks definitely go out to Sean Stark, the fearless leader of youth programming at the Yukon Canoe & Kayak Club.